It’s official: 2019 is in full swing, and many of us are gearing up for a year’s worth of memorable trips. But no matter which destination you choose, you can always amp up the wow factor by taking on some extreme adventures. Sure, hiking, biking, and trying out the local cuisine are all well and good… but at the end of the day, there’s only so much that can stand out about a steak dinner. If you’re really looking for a once-in-a-lifetime experience, there are all sorts of extreme sports and activities to consider — if, of course, you’re brave enough to give ’em a go. But the RVing set is not one to turn their noses up at a little bit of adrenaline. In fact, the spirit of adventure is one of the reasons many of us take on this travel lifestyle in the first place. 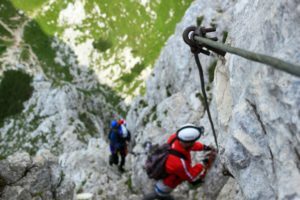 So whether you’ve been looking to shake up your normal vacation routine or you’re a born-and-bred adrenaline junkie wondering just how RVing might fit in with your adventure-ready lifestyle, here’s our extreme sports guide for campers everywhere. Want to Try Some Extreme Activities? 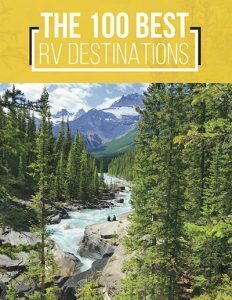 As much fun as it is to plan new adventures and journeys, it can also be a little bit overwhelming to play RV road trip planner. There are just way too many amazing destinations and things to do to choose from! But one thing that can help make planning your journey a lot easier is coming up with a unified theme or trip goal. For instance, you might be out to find the very best foodie destinations in the country, or to learn more about our nation’s history. Maybe you’re planning to take a spooky tour of haunted sites and cities. No matter what it is, your trip theme will help you narrow down a few spots out of a long list of potential vacation destinations. Another idea to organize your trip around is — you guessed it! — extreme sports. If you’re hoping to have a real adventure in your RV, there are plenty of adrenaline-pumping outdoor activities to help you do so. 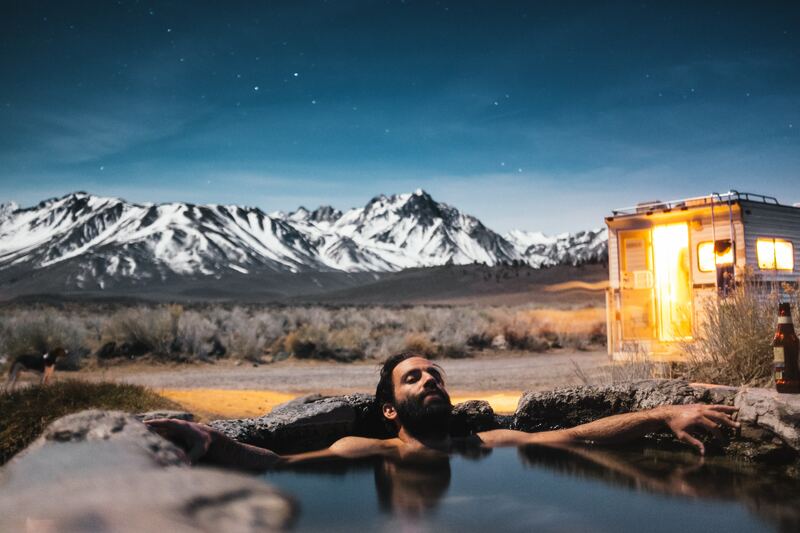 Whether it’s sliding down a snowy mountain face or cutting through the waves of turbulent waters, we’ve put together this list of adventure sports to help you take your humdrum RV trips to the next level. 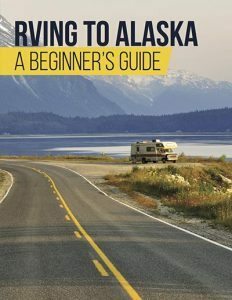 We’ve also included some great tips and tricks about the gear you need to make your trip easier, as well as how to find an RV rental that will suit your extreme camping lifestyle. Ready to dive in? Of course you are! Without further ado, here’s our extreme sports list — and some of the best destinations to enjoy each of these activities in. 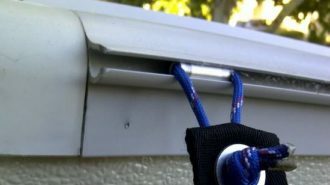 You don’t have to be Alex Honnold to appreciate the unique thrill of ascending a mountain face with nothing but your own brute strength — and, unlike Honnold’s most famous attempts, some ropes to ensure your safety! A devotion to “xtreme sports” is one thing, but it’s just not worth taking your life in your hands to that extreme. Fortunately, there are plenty of ways to enjoy this sport in a relatively safe manner, and we’re lucky enough to live in a country with endless opportunities to do so. From the surreal spire of Devils Tower National Monument in Wyoming to the Red River Gorge of Kentucky, anywhere there are tall rocks, you can bet there are people who are geared up to climb them — and given America’s unique and stunning geology, you don’t have to go too far. 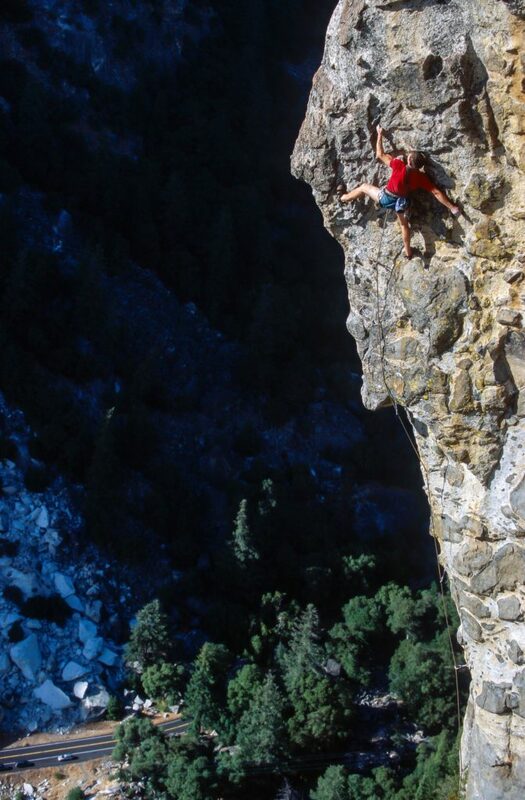 Other popular climbing destinations include Boone, North Carolina; Boulder Canyon, Colorado; Smugglers’ Notch, Vermont… and, of course, Yosemite Valley in California. Off-road biking is already pretty exciting. But some adventurers really take the sport to extremes. 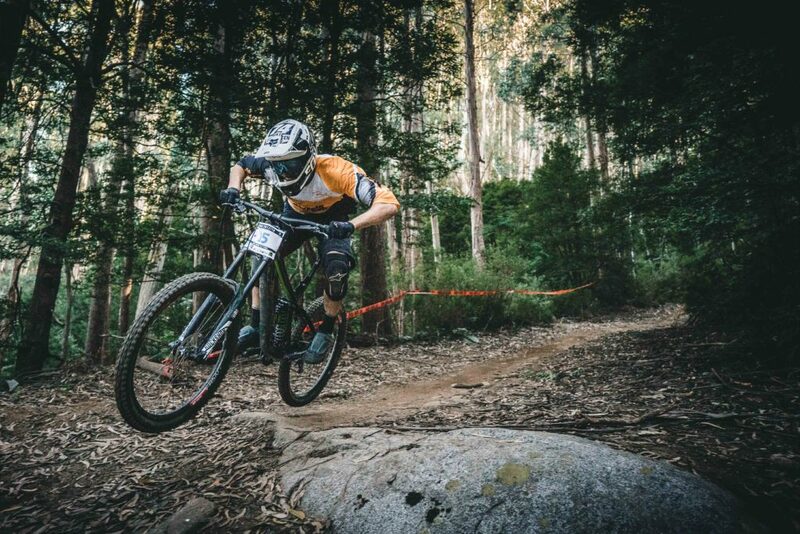 For instance, downhill mountain bikers focus on — well, just what the name sounds like: going downhill, usually as quickly as possible, jumping and dropping on rough terrain filled with challenging obstacles. Or maybe “enduro” riding is more your style: timed runs of multiple peaks. Or try your skill at dirt jumping, where you vault yourself and your bike off of dirt ramps with the intention to get as much air as possible, and maybe even perform a trick or two. No matter which style suits your fancy, just be sure to suit up for the occasion. A helmet is absolutely non-negotiable, and other pieces of body armor are a good idea, too. Taking to the open water is already a very common camping activity, whether you’re paddling a kayak, canoe, or stand-up paddleboard. But you adrenaline junkies out there might want to step it up a notch by navigating that vessel of yours into some choppier waters — the kind that swirls white amongst the rocks and eddies. 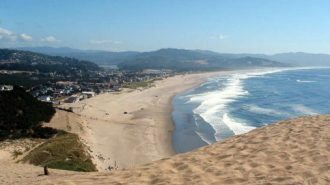 There are all sorts of white water destinations across the U.S., from the seemingly-dry desert southwest to the lush and teeming forests off the Atlantic. Some of the most popular, however, include Arizona’s Colorado River (yes, as in the Grand Canyon), the Salmon River in Idaho, and the great gem of the south that is the sprawling Chattanooga. But there are white water options even in Maine, Maryland, and Pennsylvania, so you don’t have to plan a cross-country trip to get wet and wild! 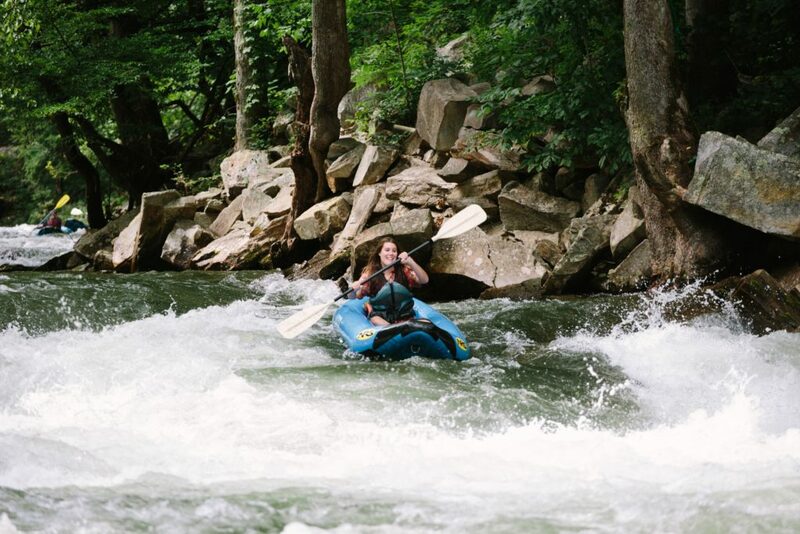 White water rafting is pretty exciting — but what about stepping out of the boat entirely? Wakeboarders and waterskiers do just that, using their strong abs and upper body muscles to balance on boards as the aforementioned boat zips them through the water. The best part of this extreme sport is that you can do it almost anywhere; all you need is a body of water with relatively calm wake where it’s legal to drive a fast boat. 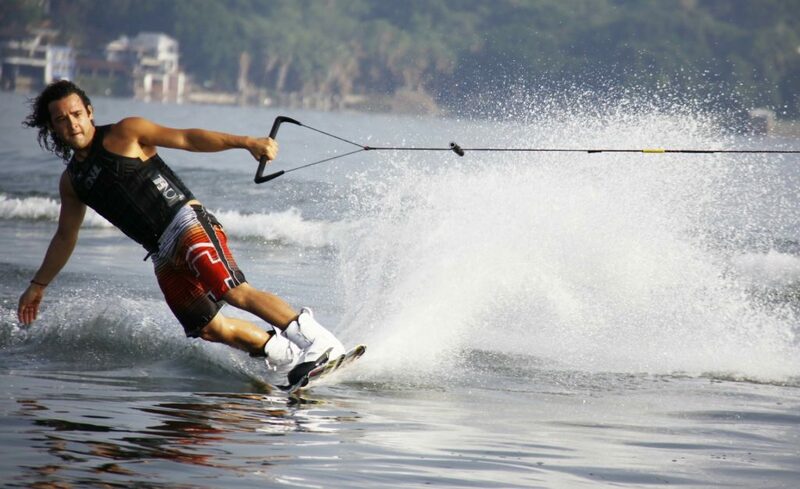 Advanced wakeboarders even perform jumps and tricks, elevating an already-invigorating sport to the next level. Surfing is one thing — and don’t get us wrong, it’s pretty awesome. Depending on where you are and the size of the waves you catch, it might even cross over into “extreme” territory. 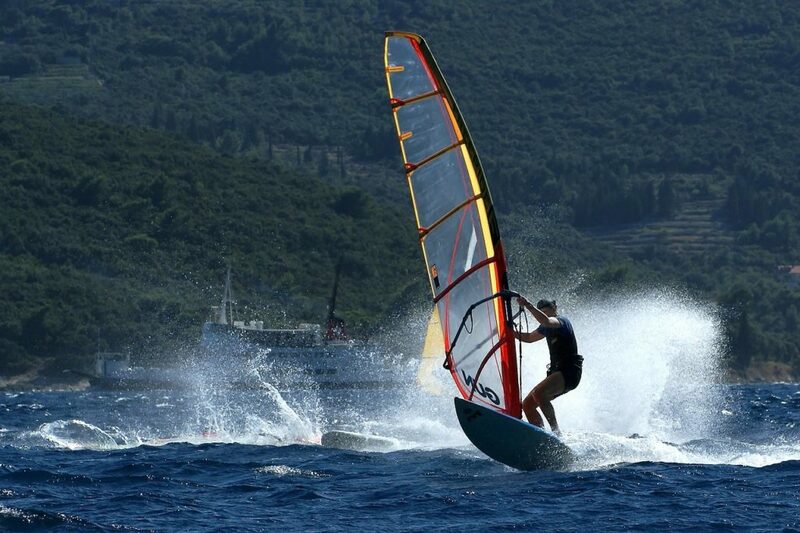 But if you want to ensure your surfing experience is an extreme one, windsurfing is a great way to do it. You’ll harness the power of the wind to propel you to the next level, catapulting yourself along the sea without the same amount of downtime faced by regular surfers. Like surfing itself, many of the most renowned destinations for windsurfers are tropical resort spots in places like Brazil, Peru, and the Dominican Republic. When it comes to windsurfing on U.S. soil — er, sea? — the community is all about Maui. But even though you probably won’t be driving an RV to Hawaii, you can still fly in and rent one once you arrive! Boondocking in a tropical paradise before heading out into the surf each day to fly through the spray like a seabird… can you think of a better vacation than that? Here are a few more unforgettable sports to tackle during your next camping outing! Want to make any sport a little more extreme? There’s an easy formula: just add snow! 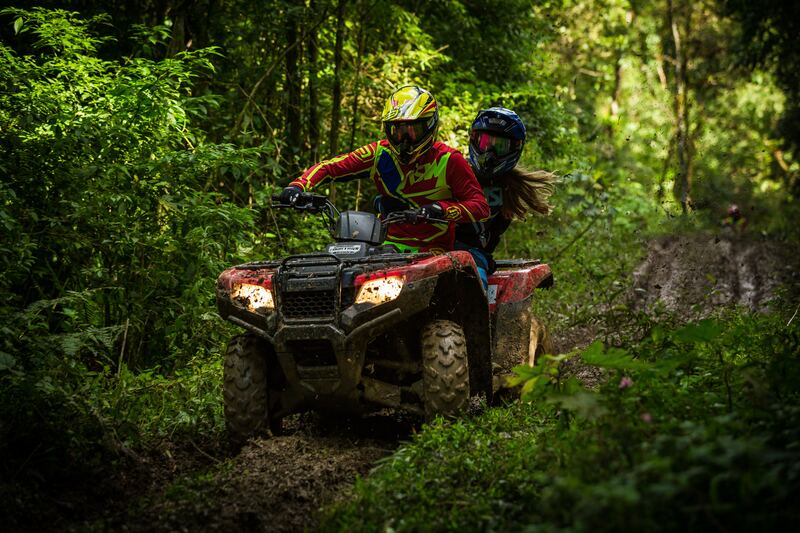 There’s nothing like racing through the slush and ice on a frigid day to get your adrenaline pumping. Maybe skiing is already part of your winter vacation to-do list. And to be sure, skiing can be extreme. but if you really want to ramp it up, give snowboarding a try. With no poles and only one solid board strapped to both your feet, it’s a little bit like skiing’s punk-rock sister… and yes, it’s going to take you some time (and some falls) before you start, as they say, shreddin’. Although it was often looked down upon at the start at the most famous ski areas across the country, snowboarding’s come a long way in its short history, and most mountains allow boarders these days. 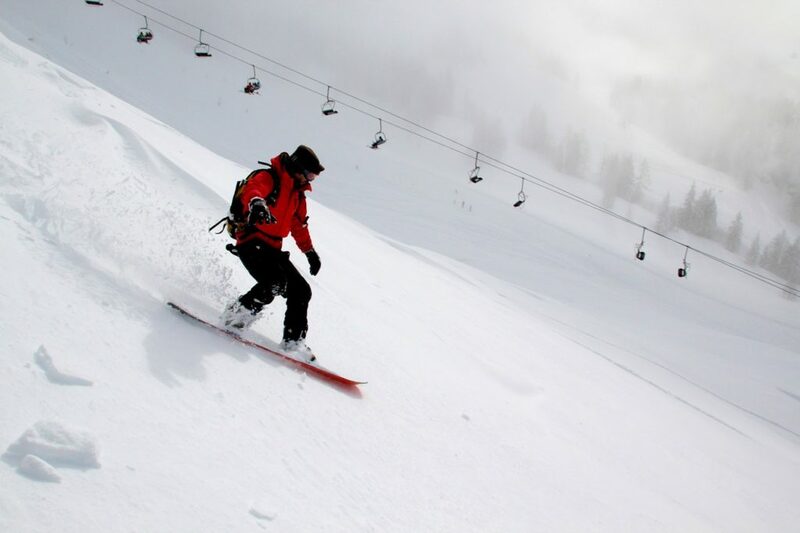 So pretty much all the same places that are renowned for skiing area also amazing snowboarding destinations: Colorado’s range of resort towns like Vail, Steamboat, Breckenridge and Telluride, as well as Squaw Valley, California and Taos, New Mexico. 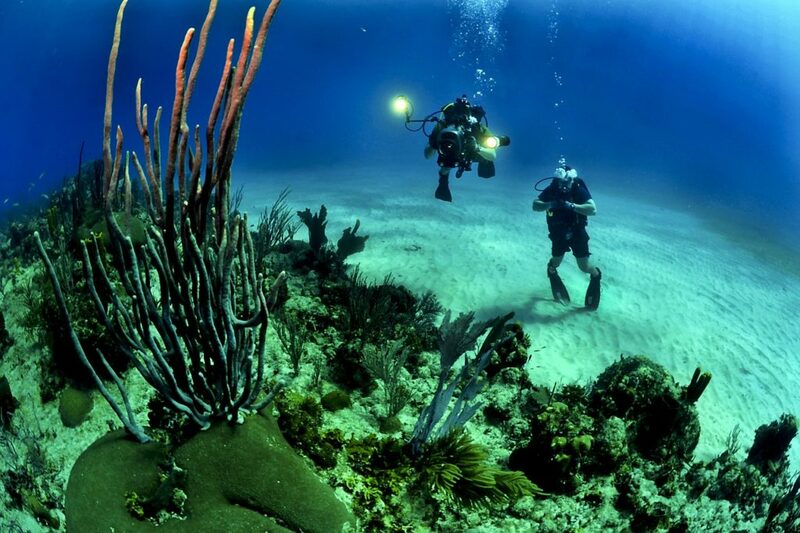 Although it might be most readily associated with ocean reefs and other seaside sites, SCUBA diving is actually alive and well across the country, including even in seemingly-landlocked areas like Arizona. Adventurers take to southwestern lakes, southeastern springs, and a variety of other aqueous environments — including caves and ice-covered stretches, if they’re especially intrepid. Of course, breathing under water is no laughing matter (although I’m told you can safely laugh through a regulator). It’s imperative that you take the time to get the education and certification you need to ensure you stay safe while you’re exploring the depths. There are a wide range of certifying organizations and boards devoted to keeping divers safe while they’re diving, as well as preserving the integrity of the unique and beautiful environments they get to experience; PADI might be the most popular, but NAUI has a focus on ecological conservation that makes it especially attractive to those devoted to living green. 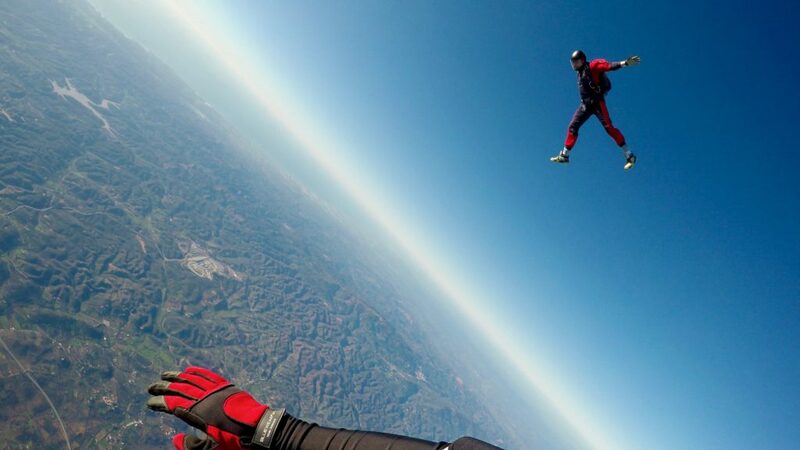 When it comes to adrenaline-rush-inducing activities and sports, it’s hard to top skydiving. I mean, you’re literally jumping out of an airplane. That’s about as extreme as it gets! You can find professional skydiving companies almost everywhere you go, promising to show you their corner of the landscape from an entirely new perspective. 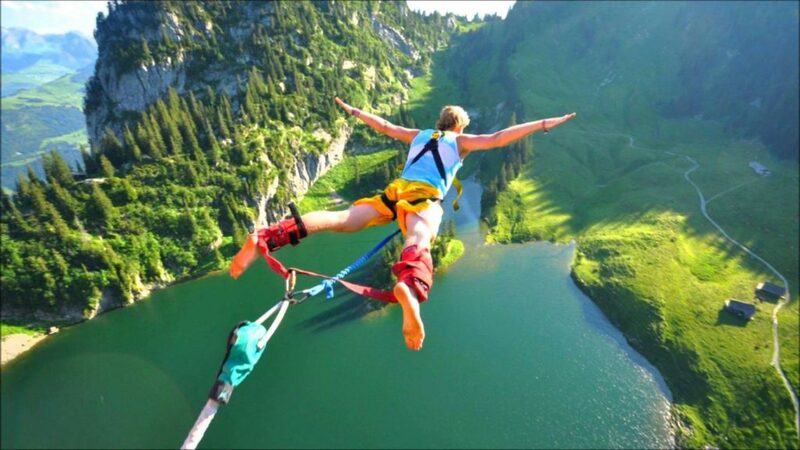 Curious about feeling the rush of free fall, but not quite sure you’re ready to leap into the open air? Yeah, we get that — and fortunately, the massive fans at indoor skydiving locations mean there’s a compromise option. But chances are, once you try out the feeling of flight indoors, you’ll naturally want to progress to the next level. Like we said, the view out there is way better! Into the idea of free-fall, but not so keen on the whole parachute thing? Want to experience your dive without having to step foot inside an airplane? One of the things that makes RVing such a great mode of travel for extreme sports is that you can get as close to the action as possible. You don’t necessarily have to worry about driving several miles from a hotel or campground to reach your outdoor destination… you’ve got your very own bed and breakfast along for the ride, so you can create your own private resort just about anywhere! 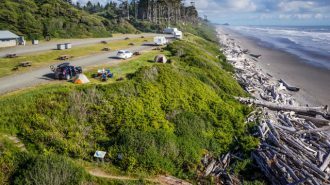 Of course, this kind of camping — without hookups, also known as “boondocking” or “dry camping” — does come with its own set of challenges. 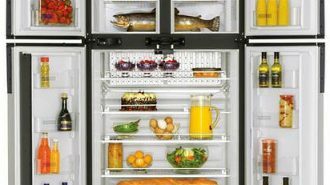 You get the benefit of being as close to the good stuff as possible, but you do have to give up some creature comforts, amenities, and conveniences. Not that that’s a deal breaker, of course. 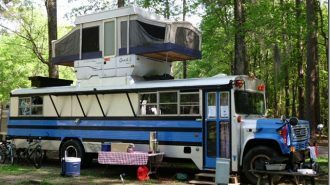 In fact, in many ways, boondocking can be even more attractive than staying at a campground. Chances are your nearest neighbor will be will out of earshot, and you don’t have to worry about late-night traffic rousing you from an otherwise-restful night of sleep. And have we mentioned that your view will likely be of a pristine, untouched wilderness area? Even if you’re an old hat at RV camping in general, you do need to take some steps to prepare yourself for boondocking if you want to enjoy the experience. 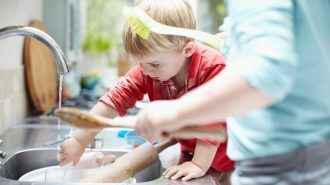 For one thing, you’ll need to learn how to get serious about conserving water — because aside from whatever spare drinking water you bring along and the stuff in your potable water tank, you won’t have a source to replenish your taps and showers. 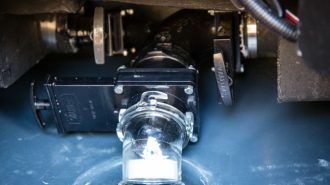 Here are some great tips and tricks for using as little water as possible on the road (and at all other times, while you’re at it). 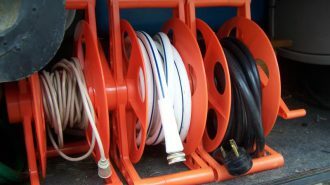 Aside from a water hookup, you’ll also be without a convenient sewer line. And just like us, when your RV’s gotta go, it’s gotta go… which means you’ll have to go back to civilization. Always keep an eye on your holding tank levels and do your best to reduce the number and length of your flushes. (You know the old rule involving colors, right? Brown and yellow? We thought so.) You’ll also want to ensure you’re making meals that don’t require extensive dish-washing and cleanup; the one-pot goodies you can get out of an Instant Pot are great for this purpose. Oh, and maybe consider skipping your daily shower. After all, you’re way out in the woods — who’s going to notice? Finally, you’ll be without electricity… which could be a welcome chance to disconnect or a challenging period of “roughing it,” depending on your personality and habits. 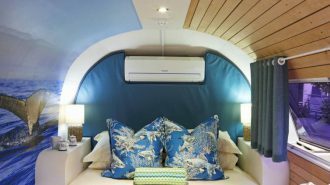 While it’s great to get away from our ubiquitous screens for a while, it can be frustrating to be without amenities like air conditioning, especially if you’re camping somewhere with an extreme climate. 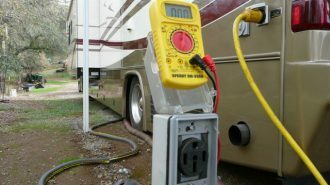 Of course, most RVs feature on-board generators these days, but running it day and night is wasteful, not to mention an awful pollutant. 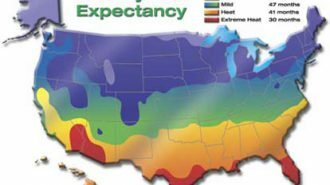 We recommend timing your trips and destinations so as to follow the milder weather, so you can enjoy the peace and quiet of nature without the annoying hum (and significant fumes) created by a generator. For even more information on getting off the grid, check out our Expert Guide to Boondocking. Now, we’ve already written a number of great camping gear guides and packing lists, for everything from weekend getaways to cool-weather fall trips. 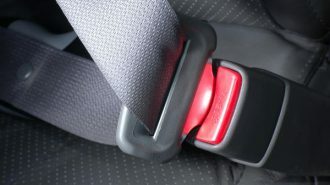 But when you’re traveling specifically to take on adventure sports, there are certain RV accessories and items you don’t want to leave home without. 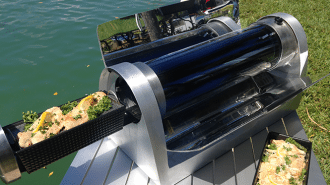 Boondocking also requires you to bring additional food and water, and you may find that using paper plates and plastic cutlery can help you scrimp and save on the water you use in cleanup. That said, it’s kind of a trade-off, because those disposable objects mean you’ll have more garbage, which you’ll have to find a way to deal with. 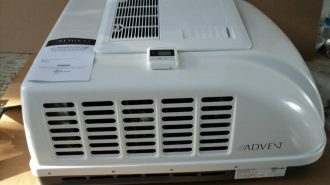 It can start getting pretty darn stinky pretty fast inside of a cramped RV, especially without any air conditioning, and you can’t put the garbage outside where it’ll attract animals! 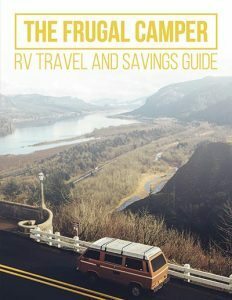 Finally, don’t forget all the basic necessities you’d need for any other RV trip, including basics like toiletries, sheets, and towels, as well as an activity-appropriate wardrobe. Most adventure sports have their own specific gear, designed to keep you cool, dry, and comfortable even as you sweat (or, in the case of winter sports like snowboarding, keep you from freezing to death). When in doubt, choose multiple, moisture-wicking layers (read: NOT COTTON), and add in a solid pair of comfortable hiking boots. 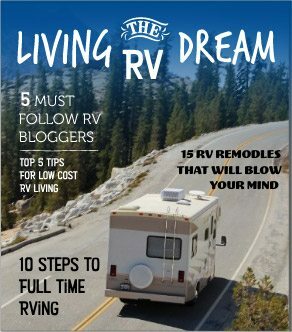 Here’s more information on how to properly pack for your next RV trip, including an important list of what NOT to bring so as to avoid crowding yourself out of your own rig. 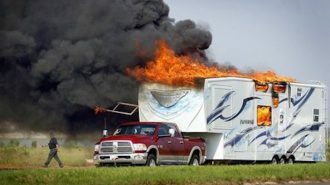 So you have some extreme activities in mind, and you’re convinced an RV is the perfect way to stay while you experience them. But even in a spacious rig, you might have more gear to bring along than will fit behind your RV’s undercarriage baggage door. Fortunately, there are types of rigs custom-designed for these kinds of adventure vacations, like toy haulers. 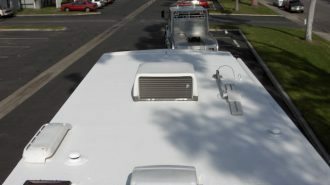 These are travel trailers and motorhomes that include a large, open “garage” area in which you can store all sorts of “toys,” from kayaks and canoes to ATVs and golf carts. But how can you find one of these unique RVs to rent if you don’t already own one? They’re not exactly standard issue when you’re looking at the rentals available on a big dealership floor. 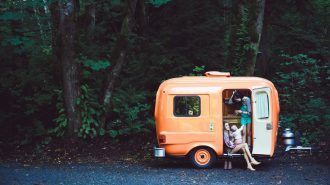 There’s another way to rent, of course: directly from a private owner, through a peer-to-peer RV rental marketplace like the one here at RVshare. When you rent within the community of campers, you aren’t limited by the vanilla, factory-floor motorhomes that are the standard big-box fare. The local RV owners in your area are adventurers just like you, and they likely have a wide range of different vehicles, which reflects that fact. And yes, that range includes toy haulers! Aside from a diversity of vehicle types — which is also helpful if you’re on the market to buy your own RV someday and want to make sure you know what style of camper is best for you — renting through RVshare confers several other benefits, as well. For one thing, the rentals available there are usually offered at a fraction of the price you’d find at the nationwide franchises. Which makes sense, when you think about it… private owners don’t have to worry about footing the expenses of running a business. They’re just looking to earn back a little bit to spend on adventures of their own, which means they can pass those savings onto you! RVshare also offers both renters and rentees the gift of peace of mind, thanks to its user-friendly and secure platform. All monetary and communicative transactions take place through our program, which means your sensitive information stays safe and private. Not feeling quite so extreme this year? No matter! There are plenty of other amazing road trips to enjoy, and a variety of ways in which to choose a destination. 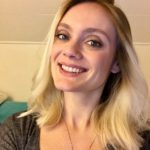 Here are some posts to help inspire your next journey. Rock on, campers — and stay safe out there!